Bethany J. Welch, director of the Aquinas Center, a Catholic outreach center attached to St. Thomas Aquinas Parish in South Philadelphia, represented the United States at the Vatican for the Nov. 5-6 celebration of the 50th anniversary of Gaudium et Spes. It is considered a landmark document of the Second Vatican Council that promoted interfaith dialogue and the Catholic Church’s concern for social justice. The event this week in Rome included a symbolic handing over of the Pastoral Constitution Gaudium et Spes from elderly participants in the 1962-1965 council to an invited group of youth and young adults from the various countries in five continents. Welch had been asked to represent the U.S. by Archbishop Joseph Kurtz, president of the U.S. Conference of Catholic Bishops. “His call for responsiveness and solidarity reflects the impact of a document like Gaudium et Spes and reinforces the values on which Aquinas Center was founded,” Welch said. Aquinas Center, which is located at 1700 Fernon Street in Philadelphia in the multicultural, multilingual and largely immigrant parish of St. Thomas Aquinas, opened in January 2013. 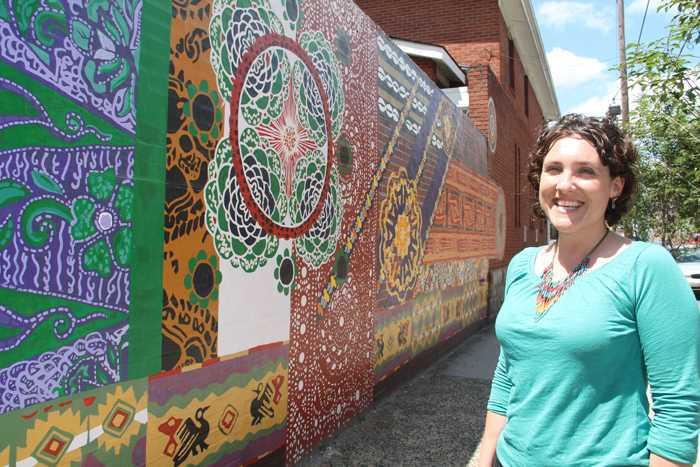 It hosts “urban immersion experiences,” according to Welch, plus counseling services, legal services to help immigrants regardless of their documentation, community organizing and advocacy work, English classes and urban revitalization activities. Welch believes systemic injustice is a root cause of poverty along with a lack of access to social services and high quality education. She said she is inspired by the dignity of all persons and believes the work of Aquinas Center demonstrates the power of Catholic social teaching. Her Catholic faith motivates her to promote a “culture of encounter” with people, the poor especially, to which Pope Francis has called everyone. 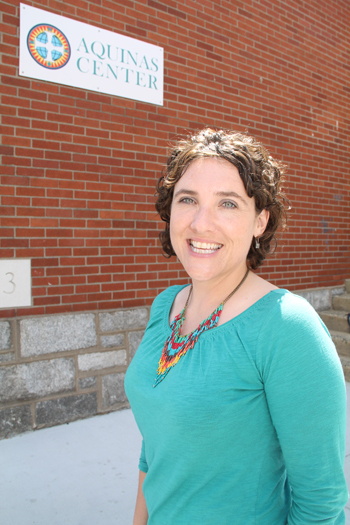 Welch works to infuse this mission into the work of Aquinas Center, especially through its leadership training programs and community organizing. “Everyone has dignity. Everyone has gifts to share,” Welch said.